Pets make a great companion and many people would consider them as a member of their family, but what you may not realise is there are far more reasons that having a pet may benefit your life. They improve our social lives, improve our health and just generally improve our happiness; which doesn’t just impact our personal lives, but does also improves our work life. Ocasta encourages each of us to get a pet, by allowing us to take some time off to help when rehoming a rescue dog or cat. 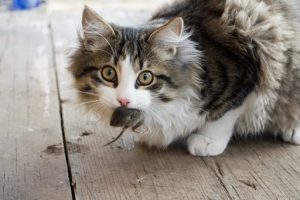 This article will discuss the top 17 reasons that pets improve our lives and why our bosses should be paying for them. Stress can be a source of serious health issues, but pets can help to keep you relaxed after a stressful day at work. It has been shown that pet owners have a lower resting heart rate, exhibit significantly lower heart rate change when undertaking a mental arithmetic tasks and that the presence of a pet had a greater effect on stress reduction than the presence of a spouse . 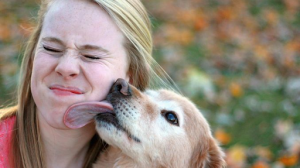 Researchers demonstrated that direct interaction with dogs reduces blood pressure levels in what they referred to as the ‘pet effect’ and suggested dog ownership as an “excellent means of inducing physiological relaxation” . 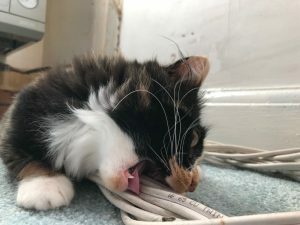 Remember this next time you are working from home, and make sure to take regular pet breaks. Our pets are explorers and love to get dirty and this brings with it, increased levels of microorganisms. While dogs traipsing mud through the house doesn’t immediately sound like a positive to most people, research has found that it may be beneficial for our health. Children having dogs at home were found to have fewer respiratory tract symptoms or infections and tended to need fewer courses of antibiotics [3, 4]. It was also noted that the lowest risk of infections came in homes wherein dogs spent the most amount of time outside. Similar results were found in Sweden, where it was determined that exposure to dogs during the first year of a child’s life reduces their risk of asthma at age six. These benefits aren’t only for your children though. In Germany and Australia, data shows that pet owners make about 15% fewer annual doctor visits than non-owners . Similarly, a study of women in China found that those who were dog owners had fewer doctor visits, took fewer days off sick from work, and exercised more often than non-dog owners . So, with a pet you will take less sick days, and make fewer visits to the doctor; how could your boss not want everyone to have one?! It’s well known that dogs have an incredible sense of smell, but did you know that this heightened sense can be sensitive enough to even detect cancer? Researchers found that trained dogs correctly identified 30 of 33 cases of prostate cancer in a group of 66 test subjects  and another study found that a dog could achieve up to 97% accuracy in detecting colon cancer . It has been discussed that the certain vibration frequencies can assist in the healing bones and muscle tissue. The frequencies identified as the optimum are between 35-50Hz. 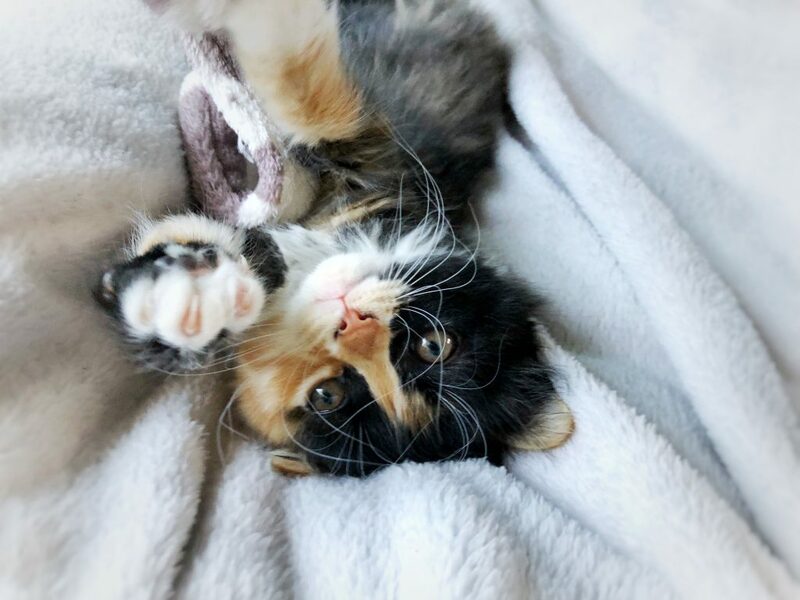 A cat’s purr varies in the range of 25-150Hz  meaning that they are not only cute but may contribute to strengthening your bones and healing any fractures. Now you know what to ask for if you ever break your leg! 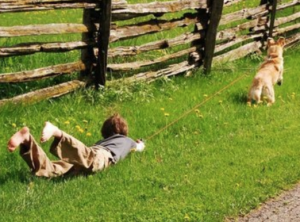 When you have a pet there is always something that you need to do that will get you up and exercising. For a dog it’s quite obvious, taking them out for their daily walk keeps you active, and depending on their character, they may even walk you, which is more work than it sounds. 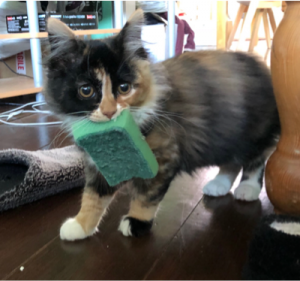 For other animals, though there are still things you need to do, playing with a toy, chasing them around the house to try and catch them or just cleaning up the mess they make (yes, cleaning is exercise!). Whether it’s your dog joining into a 5-a-side match during your walk, or your cat exploring your neighbours garden, there is always something they have done to talk about. 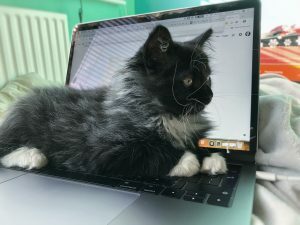 Colleagues often discuss their pets and share pictures of them while they work from home, this can really improve the team spirit and get them talking more. 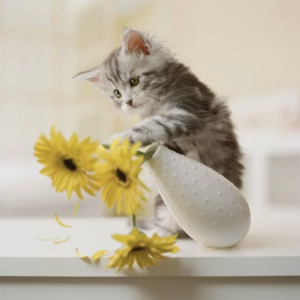 How many times have your pets broken something or destroyed the furniture in your house? But you have to remain calm because they may not understand why if you shout and you don’t want them to be afraid of you. Instead, you need to find a way to teach them calmly. 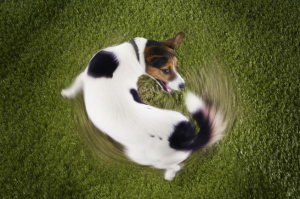 This teaches their owners self-discipline when something goes wrong that that is out of their control. The more you leave out the more chance of something getting broken. This makes sure that pet owners keep a tidy house, or they will have nothing left! There is no need for an alarm clock, your pet will be sitting on your chest whining/meowing at 6 am until they get their breakfast. This makes sure you are never late for work, and it’s a wonderful thing to wake up to in the morning. What boss wouldn’t want a guaranteed on-time employee? 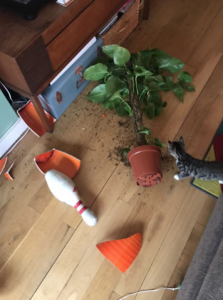 Pets often damage your furniture and personal belongings, you need to find tricks to stop them! 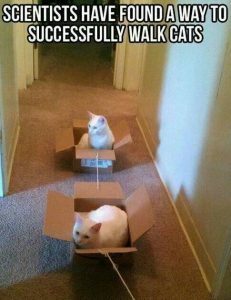 Like putting double sided tape on the furniture they are damaging to make it less fun for them to play with or finding a way to stop them getting into a dangerous area for them! Have you ever worked from home and had a fly continually buzzing around the house while you’re trying to work? 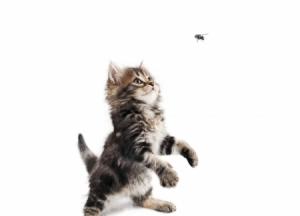 No need to worry about that when you’ve got a pet, if there is a fly they will not rest until it is stopped! Just set out a computer and they will be immediately on the keyboard getting things done! 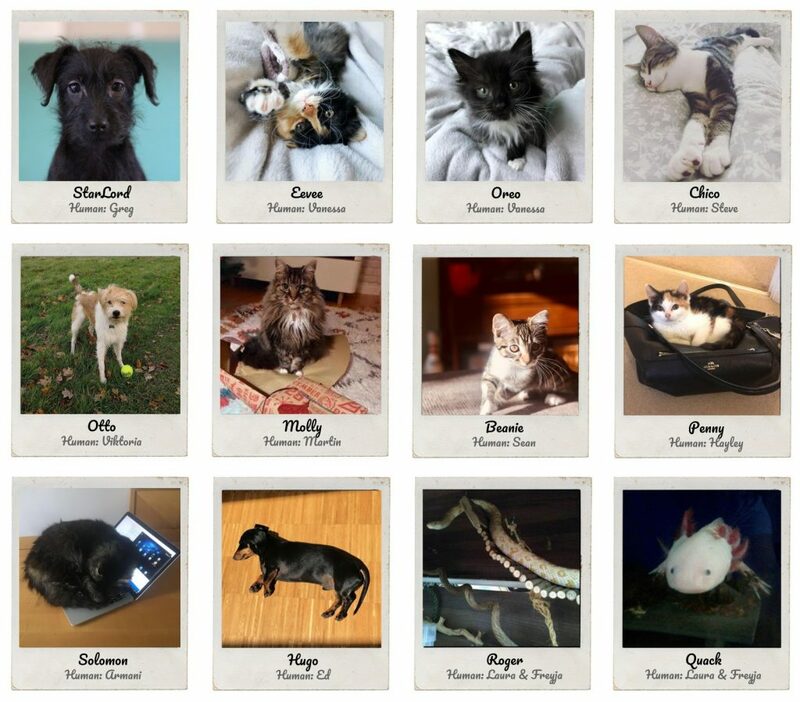 The pets of Ocasta, working hard to improve our team. Cornu, J-N & Cancel-Tassin, Géraldine & Ondet, Valérie & Girardet, Caroline & Cussenot, Olivier. (2010). Olfactory Detection of Prostate Cancer by Dogs Sniffing Urine: A Step Forward in Early Diagnosis. European urology. 59. 197-201. 10.1016/j.eururo.2010.10.006. Sonoda, Hideto & Kohnoe, Shunji & Yamazato, Tetsuro & Satoh, Yuji & Morizono, Gouki & Shikata, Kentaro & Morita, Makoto & Watanabe, Akihiro & Morita, Masaru & Kakeji, Yoshihiro & Inoue, Fumio & Maehara, Yoshihiko. (2011). Colorectal cancer screening with odour material by canine scent detection. Gut. 60. 814-9. 10.1136/gut.2010.218305. Komrakova M, Sehmisch S, Tezval M, et al. Identification of a vibration regime favorable for bone healing and muscle in estrogen-deficient rats. Calcif Tissue Int. 2013;92(6):509-20.
von Muggenthaler, Elizabeth. (2001). 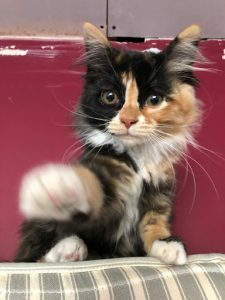 The felid purr: A healing mechanism?. The Journal of the Acoustical Society of America. 110. 2666. 10.1121/1.4777098.